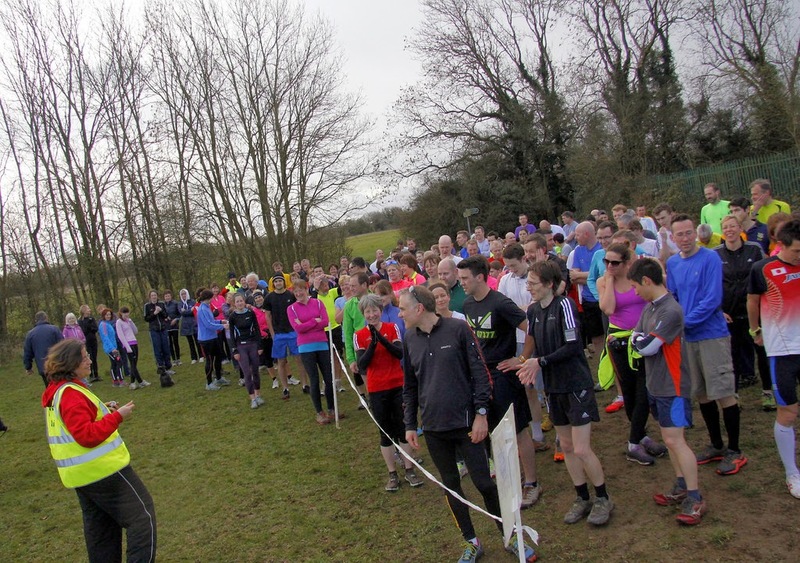 As it was to be a landmark event number at Riddlesdown parkrun, I decided to put the touring to one side and pay a long overdue visit back to my parkrun home for my 70th official run there. 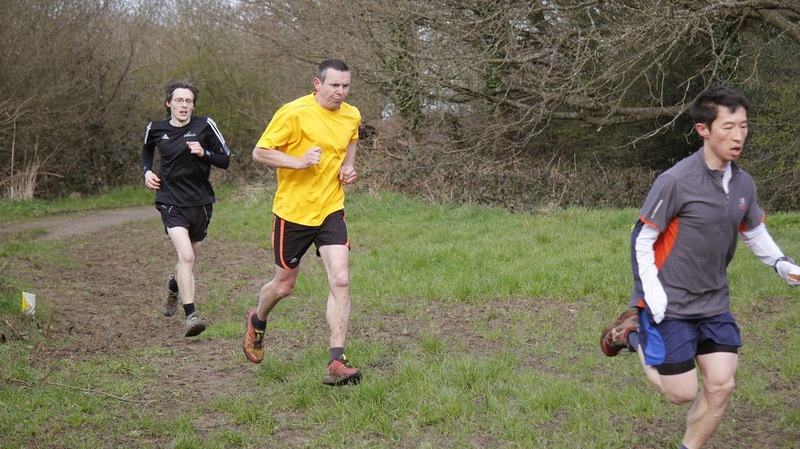 I have been running fairly well lately, plus I had heard that the course at Riddlesdown had almost dried out following the very wet winter. So I set my sights on using the run as a time trial, with the thought in my mind that if everything went well, I could possibly beat my course personal best which had stood for the last 2 years, 6 months and 5 days - which is 131 weeks, or 917 days. After a thorough warm up I lined up at the front of the start funnel and after the run briefing I headed off with the other 129 runners in search of a new course personal best. 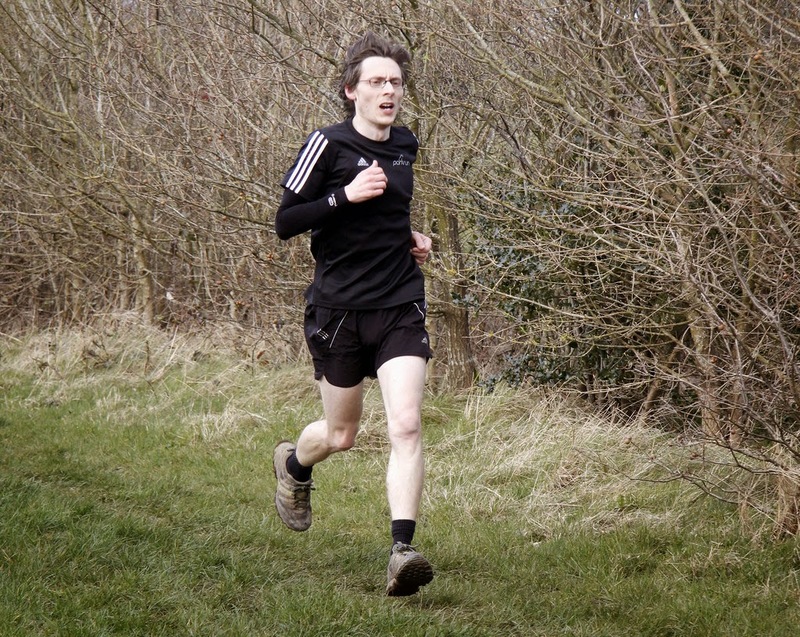 The eventual first finisher of the run (Kevin Quinn) happened to be the Riddlesdown parkrun course record holder, so after watching him sprint off into the distance, the remaining sub-20 runners formed a pack along the opening straight. 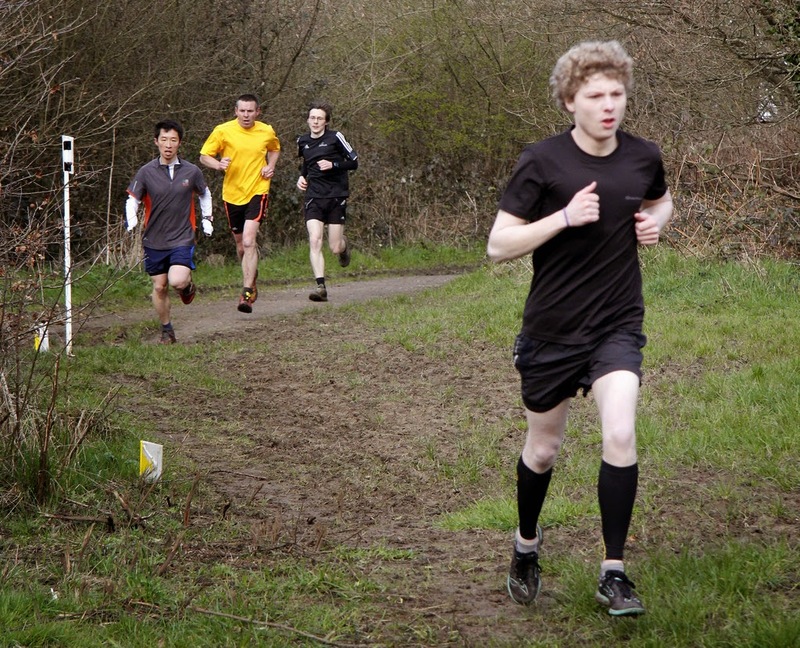 Before too long, the eventual second placed finisher (Dylan Wymer) pulled away from the pack and some others dropped off the back of the pack leaving myself and two other Riddlesdown parkrun regulars (Zhan Su and Ian Watson) to battle it out for third place. For the whole of the first lap, Zhan lead us, with myself and Ian following immediately behind. I was hopeful that staying with these two runners would bring me in well under 20 minutes, but how far under I didn't know. Thankfully at Riddlesdown parkrun there is a volunteer calling out half-way times. As Zhan, myself and then Ian passed the half-way timer our time was 9.23 - The pace was good. I knew that it was well under my course best, and a bit of simple maths suggested that a sub-19 might be possible. We continued in this order back past the start line. Once we were back on the opening straight, I decided to push a little harder and by the time we reached Condon Corner, which was renamed today as Barrie's Bend, I was in third position. However, I could hear the other two runners close behind me and the thought of losing the position spurred me on to run as hard as I could all the way through to the finish. I held onto the position and crossed the line in 18.54, which worked out as a 31 second course personal best, a 24 second parkrun personal best, and an equalling of my overall 5k personal best. My 2.5km splits were 9.23 and 9.31. It also worked out that I went over 70% age-grade for the first time at a parkrun. The full results are here. After the run it was time to catch up with people that I hadn't seen for quite a while and sample some of the special cakes that had been made for the event. I had also arranged to shadow Dylan as he processed the results after I finally arrived at the Horseshoe. I should add that for anyone patiently waiting for their result in the pub, the delay in processing them was all my fault. I momentarily forgot about the arrangement and went off to buy a few bags worth of bananas and other assorted fruits on my way to the pub. After everyone else had left the pub, we and event director Nicki ordered some lunch (I still think £6.95 for a jacket potato is a bit steep!) and chatted until well into the afternoon, almost beating our post-parkrun social record of six hours.